Neonatologists, neonatal nurse practitioners and respiratory therapists are available 24/7 at the Maple Grove Hospital Level III NICU. The NICU team has access to pediatric subspecialties that can provide consultations on advanced imaging and critical medical or surgical care. The Maple Grove Hospital NICU team provides consultations with occupational therapists, speech therapists, dietitians, pharmacists, social workers and lactation experts as needed. And, the hospital offers sleep apnea testing in partnership with Children’s Hospital. 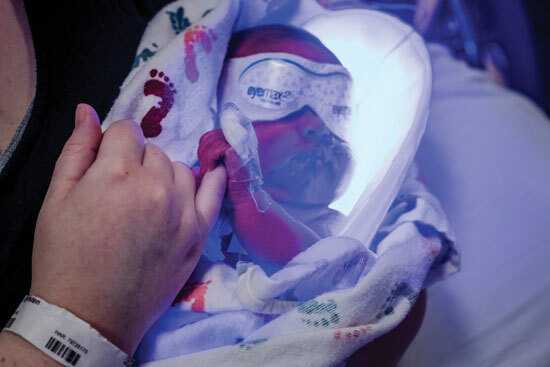 Studies show better outcomes for premature infants and low birth weight babies born at Level III centers, and moms have peace of mind knowing that a Level III NICU is available if needed.